The criteria by which we judge art is not complex. We judge art, instinctively and honestly, by its simple provocation: Did it move something in the chambers of our hearts? Did it vex or touch our spirits? Did it grip us? Did it swell us? Did we feel? 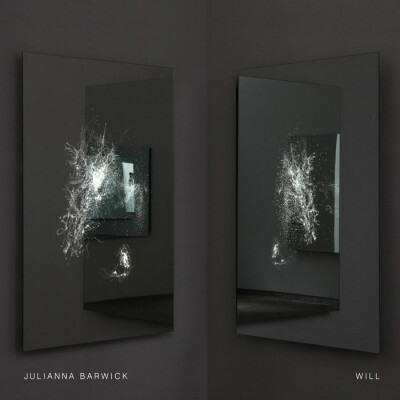 Julianna Barwick, the Lousiana-bred, Brooklyn-based atmospheric virtuoso, will not only make you feel: She will feel, too. She felt when she re-envisioned Bach’s “Very Own” for the Red Hot Organization’s Red Hot + Bach, remixed Radiohead’s “Reckoner” from the top-selling In Rainbows and lent her peals to the Flaming Lips’ cover of The Beatles’ “She’s Leaving Home.” She felt when she sang in giant spaces with the church chorus of her youth; she felt when she played piano for Yoko Ono; she felt when she commissioned a choir of Icelandic teenage girls to sing with her on one of her albums. And still, Barwick feels. Will, her self-produced follow-up to 2013’s Nepenthe, marries the synth with the sentimental and the electric with the elemental, thus widening the eye of judgement to a sparse and celestial gaze. Barwick sings in tongues, ones that eschew mental cognizance and kindle the immutable spirit. Her vocals on the opener “St. Apolonia” refract like broken sunlight, rousing imagery of marble sanctuaries and glaciated fjords. (In fact, Barwick recorded the reverberant piece beneath a train underpass in Lisbon.) On “Same” and “Someway,” Barwick’s timbre and inflection echo beautifully with Thomas Arsenault’s (of Mas Ysa) raw, Sting-like gales. While you may not understand the lyrics, you will internalize the message nonetheless. Though Will’s substratum is largely synthesized (see: “See, Know”), tracks like “Bleached”—comprising a basic piano melody, cello from Maarten Vos and Barwick’s insurmountable sighs—breathe air into the dense LP, however broody. The song resounds like the strange familiarity of a supposed former life. Barwick’s comfort in her glossolalic arena is apparent, and glaringly so. She understands her sound and vision with subtlety. An expert in looping, her attention to nuance and precise perspective elevates her oft overlooked genre to a place of accessibility for even the most linear of listeners. With a handful of tools, Barwick aurally invokes a spectrum of human emotion while keeping the audience engaged. She is a point of transfixion, at once stimulating and expanding the face of ambient music– and we don’t even know what she’s saying. By society’s reductive standards, Barwick will likely be cast off as the New Age enigma, an unknown destined for a slot on the latest volume of Pure Moods. She refuses to indulge them. She is too busy being staunchly undefinable, much like the contemplations of the soul. She is too busy encapsulating her quintessence in the bold translucence of Will. The criteria by which we judge art is not complex. We do not judge art by its commercial success, nor its adherence to social norms. We do not judge by what we intrinsically understand. We do not even judge by the intent or character of the creator. We judge art, instinctively and honestly, by its simple provocation: Did it move something in the chambers of our hearts? Did it vex or touch our spirits? Did it grip us? Did it swell us? Did we feel?